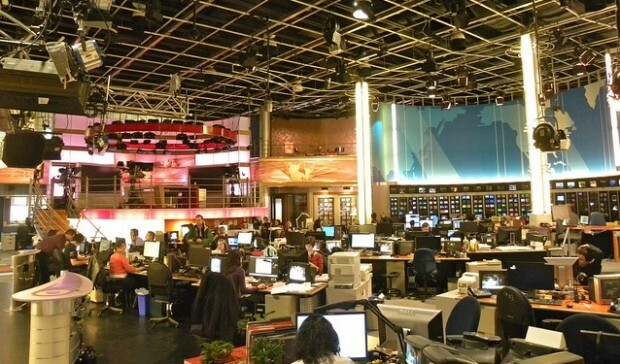 This impressive Montreal, Canadian newsroom is the world’s largest French newsroom outside of France. Flagship newscasts on Radio-Canada along with Réseau de l’information (RDI) programming are broadcast from here. Image from Jason Paris, flickr. During trending events, political elections and global crises, millions of people turn to social channels for information and support. From now until the next big thing, social media will be first on the scene at every event, election and crisis. But just because social networks are full of information and data, doesn’t mean the public is informed. What’s important is how newsrooms leverage the millions of extra eyes and ears on social to source information and drive traffic back to their stories. The following is an excerpt from the white paper “3 Ways Social Media Command Centers Improve Newsrooms,” which highlights scenarios where newsrooms can enhance their effectiveness by capitalizing on the wealth of social data with a social media command center. In this portion, we discuss how newsrooms can more fully leverage social media through social media command centers for real-time listening. 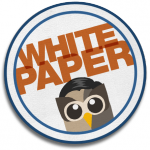 To view the white paper in its entirety, download it below. “Information is power, and when that information is at your fingertips, it empowers the individuals in your organization to make the right decisions and act on them.” – Michael Brito, Senior VP of Social Business Planning at Edelman, on social media command centers. As the world turns digital, many local and global news sources struggle to stay afloat in the highly competitive, fast-paced social media environment. Media companies lack the resources for extensive teams, and no longer control distribution channels. Not only are they up against themselves, but they now face hordes of socially-savvy citizens in a blog-eats-blog world. But news is real-time, relevant, fast paced, engaging, sentimental and hopefully reliable—just like social media. So why are newsrooms and media companies struggling as we go digital and what’s the solution? With effective listening, newsrooms can track real-time, trending conversations on social channels and know exactly what excites a global audience. Once all of the organized, related data and conversations are laid out clearly, they can then add opinion and provide engaging content in the form of a story. Realizing the importance of real-time listening and engagement, newsrooms, media centers, broadcast stations, and other media outlets are deploying social media command centers across their organization. 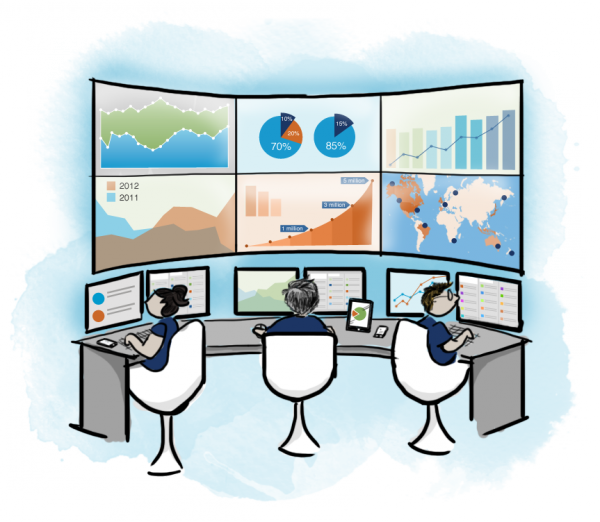 Social media command centers provide actionable data to support informed decision-making and optimize the performance of content. Think of a command center as a space where organizations coordinate to listen and engage in social channels to source information and improve engagement, customer service, risk management and operational efficiency. Stay tuned for how social media and their command centers can affect the newsroom. Ready to learn more? Download “3 Ways Social Media Command Centers Improve Newsrooms” now.